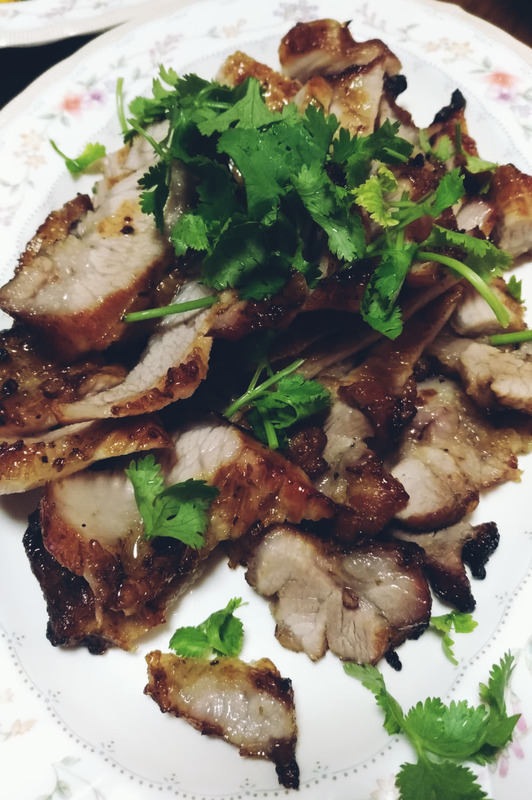 Thai Grilled Pork Neck with Nam Jim Jeaw(Thai tamarind sour and spicy sauce) is always been my Thai food favourite, I like pork neck because it is so tender, and the spicy sour Thai sauce surely open your appetite. Let’s jump into the recipe. 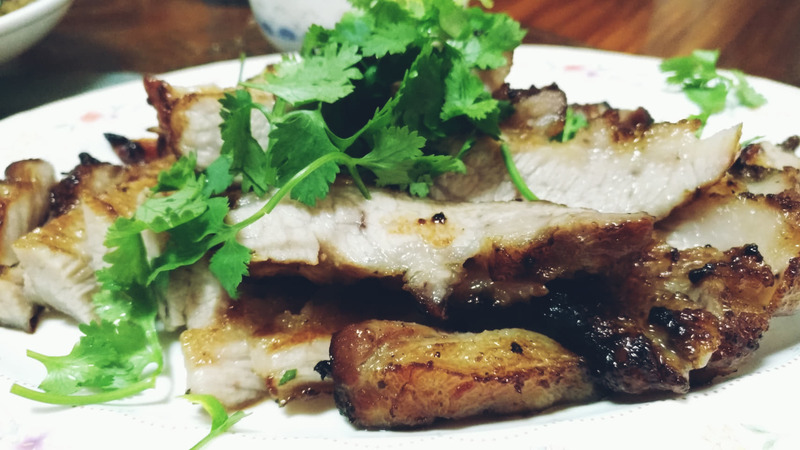 1.Marinated pork neck with honey, seasoning sauce, soysauce, grounded black pepper, Maggi sauce until thoroughly mixed. 2.Leave the pork in the fridge for 45 minutes. 4.Cook in the preheated oven until the pork is no longer pink in the center, 45 to 60 minutes. 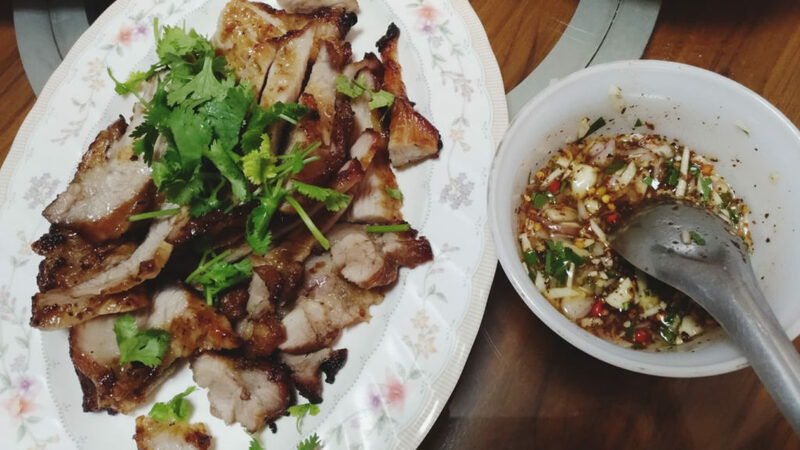 5.Slide the pork and place on the plate and topped with chopped coriander. 3. 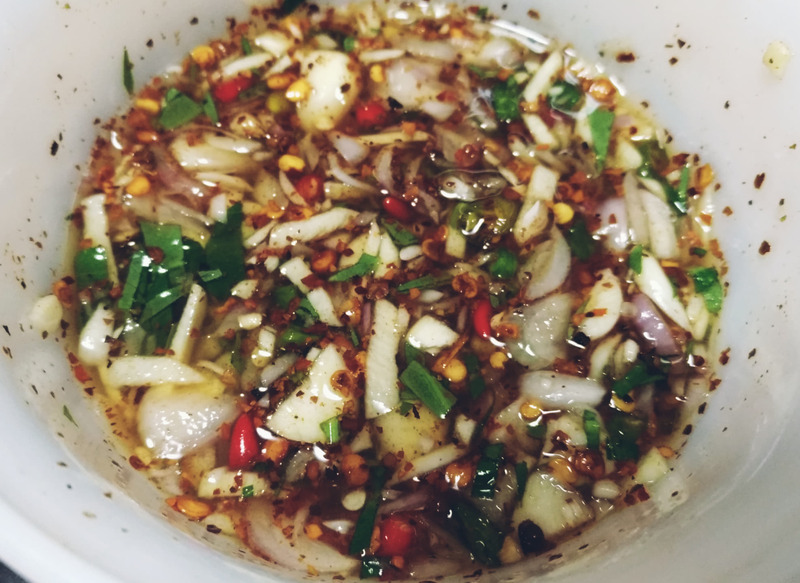 Turn on the stove in low, stir fishsauce, tamarind juice, and palm sugar until mixed. 4.Put the rest of ingredients in then put in a little bowl. 5.Topped the sauce with chopped spring onion. 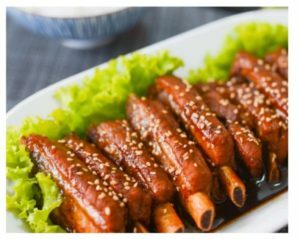 I love any recipes that have tamarind in them and this one sounds so full of flavour! I’d love to try it out.